An incarnation of thunder in human form. A Rock n Roll Dundee with drums sticks. Matt Swan grew up in Northern NSW on the mountain of Terranora, near Byron Bay. 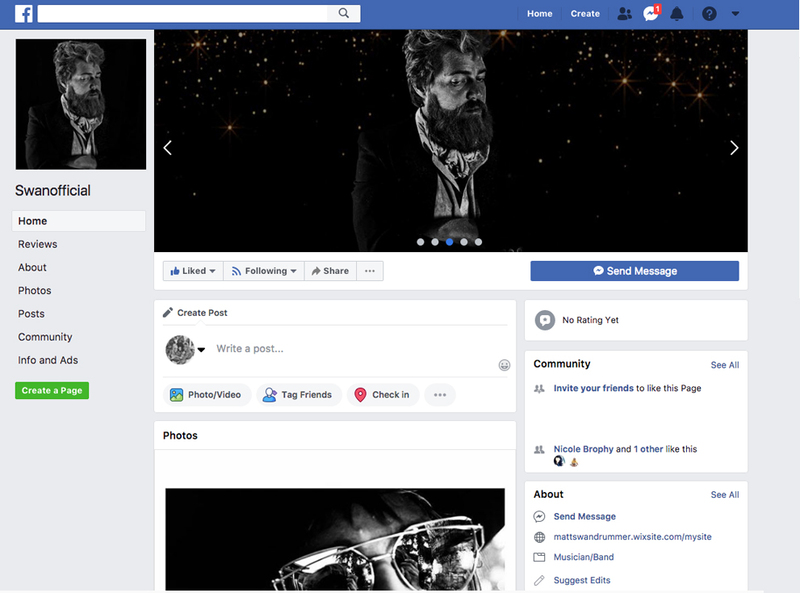 More commonly known as Swanny, he has lived in Byron for the last eight years and could arguably be heralded as one of the most enigmatic characters to emerge from the Australian music scene in recent times. An incarnation of thunder in human form. A Rock n Roll Dundee of Australia. A man who in his spare time is known to lead the charge on horseback from Byron Bay’s very own mountain adventure ranch. His animalistic antics on the kit and life of the party persona, combined with his raucous sense of fun on the stage make the man a spectacle in himself. Regardless of who he takes to the stage with, Swanny has proved a consistent entertainer across his multi-dimensional career, spanning over 15 years of world touring. “I made a few friends from smashing the drums that day through my short high school stint”. Shortly after this, Swanny bought a drum kit from a former ‘Angels’ session drummer. Swanny left high school at 16 to join a band called Mother Funk with a bunch of guys more than twice his age, and began sneaking into nightclubs to play gigs in the haunts of the East Coast of Australia. From there he continued playing with remote Aboriginal communities, carrying out musical workshops and playing the country towns and major cities. At 21 he broke out of the Australian bubble and moved to the city of Nashville, USA on a music visa between 2004 - 06. During his time in the States Swanny drummed his way through 40 states playing small dive venues and festival stages. Swanny moved back to Australia in 2006 continuing his musical career on the East Coast before taking off to the the UK in 2010. 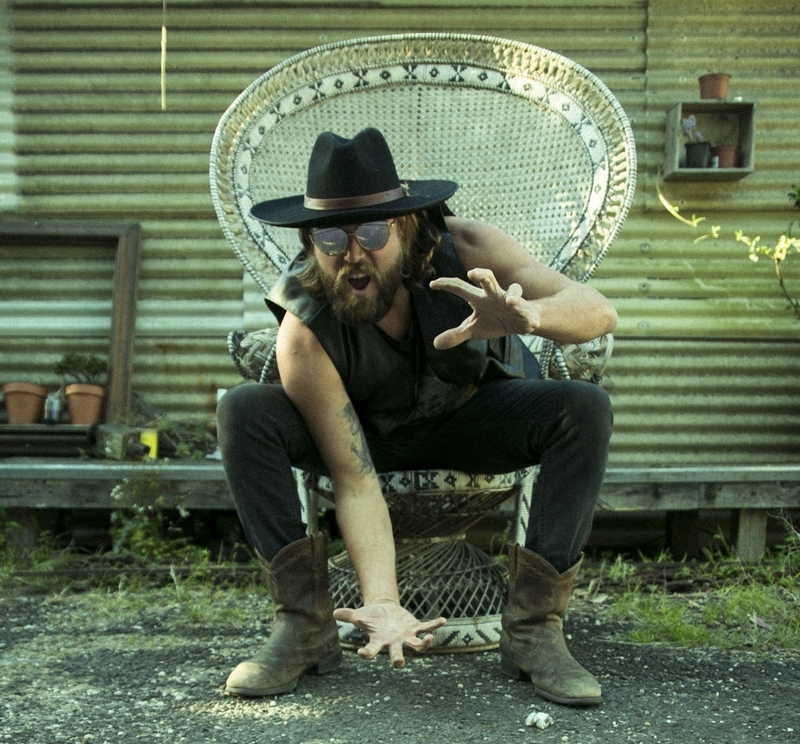 For the first year Swanny concentrated his time in the musical motherland of London, where he combined forces with a Johnny Cash impersonator on the underground. By the end of 2010, Swanny had met Mike Kerr through a mutual friend in Brighton. The duo hit it off and after talking through their musical ambitions, the band ‘Royal Blood’ was born in March of 2011. From there Swanny moved in with Mike in Worthing, where the duo spent their time writing, recording and establishing the band ‘Royal Blood’ and recording their first single ‘Come on Over’ at Rockfield Studios in Wales. In early 2012 the pair moved to Australia where they recorded a five track EP in Brisbane and the band signed to a premier touring artist label in Melbourne. A tour shortly ensued and Triple J went on to air their first single on ‘Home n Hosed’, which at the time was called ‘Leaving’ but was later named ‘Come on Over’. By the end of 2012 Mike had elected to move back to the UK, leaving the friendship and band behind. 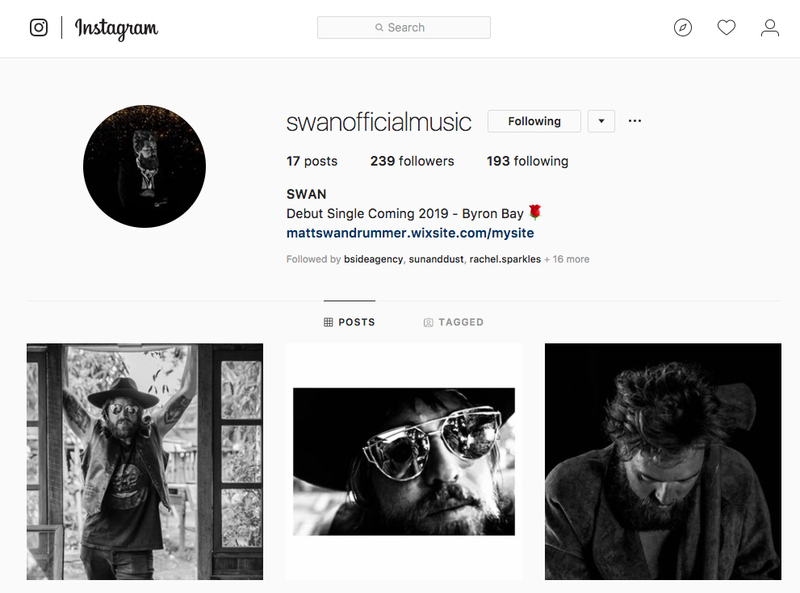 Since 2013 Swanny’s musical endeavours have included bands including the powerful rock duo ‘Elegant Shiva’, rockabilly band ‘The Swamps’ as well as others. His bands have supported Wolfmother, Sticky Fingers, Omar Rodriguez and Kingswood. Swanny's debut EP is currently in the works with the first single ‘Sweat Baby Sweat’ about to be released. Swanny’s lifelong influences including Led Zeppelin, Motorhead, Hendrix are still to be heard. He claims at this stage in his career that . Swanny makes so much noise for one man the riffs rip straight through you. Another track from the EP ‘Monster’ was written at the start of 2018, when he lived in at Byron Bay’s ‘Nowave Recording Studio’ and will be the second single due for release later in 2019. He spoke of the process of writing “Monster’. The drums came first, and I just sang out ideas out loud, before recording the guitar, bass and vocals. I never dreamed of having my very own songs written . Dave Grohl definitely inspired me. Life can really throw you a bone.